E.Dawson Varughese, author of Beyond The Postcolonial: World Englishes Literature (2012) is an experienced field researcher of world literature in English. 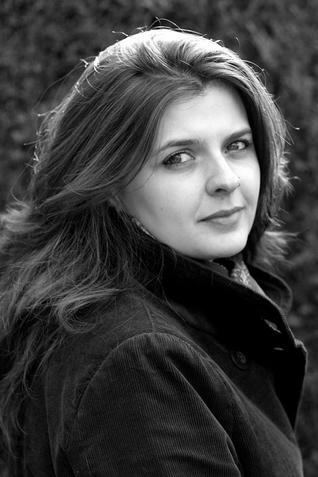 She is the editor of numerous anthologies of short stories from such countries as Cameroon, Uganda and Malaysia. Her recent book, Reading New India: Post-millennial Indian Fiction in English (Bloomsbury, India, 2013) has been quite well-received. In this exclusive interview with Kitaab, she talks about the state of Indian writing in English and what does its future look like. Your book Reading New India (2013) is a work of important scholarship. What motivated you to take upon yourself such a great challenge, given the extensive output of published fiction in India in the last two decades? E.Dawson Varughese: As we moved further into the noughties, it became clear to me that social, cultural and economic changes within Indian society were significantly impacting on the Indian fiction in English scene of this ‘New India’ and that this in itself was worth writing about. It was as I left Mumbai in 2009 that I knew a book was needed in order to capture this growing body of new writing in English from India as I couldn’t find a book doing just that. I also knew that it needed to be a book which was settled as much as possible in India whilst remaining accessible for readers outside of that market in order to learn of new trends in post-millennial Indian writing. Reading New India (2013) was launched at the Jaipur Literature Festival in 2013 and a year later an Indian edition of the book was published, launched by the Bloomsbury New Delhi office. I’m particularly pleased about the Indian edition being made available as this book in my mind at least, has always been anchored in India and I’ve particularly enjoyed the lectures I have given to students around India following the Indian edition release. The students really get into the debates of what it means to be writing and reading ‘New (and young) India’. Reading New India (2013) challenges the idea that Indian literature is that body of writing which is known within the US, UK (or Australia); I think that it is really important to cultivate awareness of this body of new, post-millennial writing from India as widely as possible. What was your research methodology? Were you looking for some trends, some common grounds in Indian writing in English (IWE)? What did you find? The research methodology was very much in line with a Grounded theory approach. I started by arranging all the fiction I bought into certain trends on my shelves. Sometimes this arrangement would start as genre, sometimes as publisher (or series), I also mapped the trend of IIT/IIM graduates as authors of this new fiction through the physical arrangement of these books on my shelves. In short, this methodology allowed me to see trends appear and thus attempted to limit my own projection and bias on to the body of fiction in terms of what I might like to see as research findings. I bought a lot of books and I was mindful to buy everything, whether I personally liked the look of it or not. As the fiction started to reveal key genres, forms of writing and particular interests (as I was very open to creating new ‘genre’ ideas), my buying of the fiction took on a different kind of habit and I started to purchase books which corresponded to these categories I’d established on my book shelves. This activity helped to keep a focus on my enquiry and it also helped to keep the project manageable. Most of these ‘data’ categories made it into Reading New India (2013) and fiction that has been published since my book came out is further developing these genres and narrative categories, ‘Crick Lit’ (my term) as an example. Do you think there is a need to study popular literature? Before your book, probably no one took any serious note of popular Indian writers. They were tolerated and barely respected. Now, the equation has changed. Today, in the age of market economy and market society, the commercial success of a work of fiction is more important than its literary value (there are exceptions like Amitav Gosh though, who is literary and yet his books sell in good numbers). We are living in the age of a globalised ‘market literature’. Do you agree? Yes I agree that the ‘equation has changed’ and therefore I believe that such enquiry is valuable and necessary. As a global cultural studies scholar I am often found at the unfathomable end of that very equation, there are scholars who don’t understand why I would wish to interrogate such fiction output as for them, this fiction has little, limited or even no value. Reading New India (2013) was criticised by one scholar for not engaging with literary criticism even though the book does not set out to critique these new fictions using this established framework or focus. The fact that popular Indian writers sell as they do, whether that be modern reworking of the epics, crime writing, Chick Lit or what I term ‘Crick Lit’, means that I am interested in what sells and why and what gets such popular attention. These fictions sell in huge numbers and I am very much interested in how these narratives dovetail so curiously with the changes that India has experienced post millennium. Moreover, when you are engaging with new fictions, often texts that have been published in the same year as the one you are writing in, and often texts which are less and less recognisable by the established (previous) tropes and guises of ‘Indian fiction in English’, then the ‘old’ frameworks and the established theories are limited in their use and application to your discussion. I should say that I think these days given what you term as ‘market literature’, a work needs to be thought of in terms of its ‘value’ including but mostly beyond its ‘literary value’. If we think of fiction in terms of whether it is literary or not then we risk ignoring a huge body of fiction in English from India. The rehearsed argument of what is and what is not ‘literary’ doesn’t really work for India any more in the sense that much of that debate is received and indeed about ‘received’ canons. Fiction in English from India does not need endorsements from ‘outside’ any longer; it just gets on and does its own thing, appraised, consumed, celebrated or damned within India, it all often begins and ends within India. Publishing is in doldrums at this point of time and the word literary has become unattractive for many publishers (literary meaning less sales). Is literary fiction destined to die? Philip Roth has given it 20 years. What do you think? Is the literary canon dead? Do book reviews and scholarly criticism matter in this age of social media and hyper marketing? Yes, I think such scholarly activity matters just as people posting blogs and tagging interests matter; it’s all about opinion, engagement with the writing and its relationship(s) to society (however that might be manifest). I think what it comes down to though is this insistence on ‘literary fiction’ being definitively better – in all sorts of ways – than non-literary fiction or ‘popular’ fiction. I think as the various agents involved in producing fiction, consuming it and talking about it widen out to a far broader band of people and increasingly global in their presence so then will notions of ‘canon’ be shaped and defined. How do you see Indian writing in English evolving? Do you think the best of IWE is in the past now? I think that Indian writing in English has got an exciting future ahead of it. Since the millennium we have seen its response to the ‘new society’ in terms of narrative and genre developments as well as in terms of form, distribution and domestic receptions and it is these new departures and numerous directions alone which are proof enough for me to be hopeful for an exciting IWE scene in the years to come. I’m also increasingly curious about the crossover into film that some of the post-millennial books are making. Bhagat’s Five Point Someone into 3 Idiots and also his Three Mistakes of My Life into Kai Po Che. 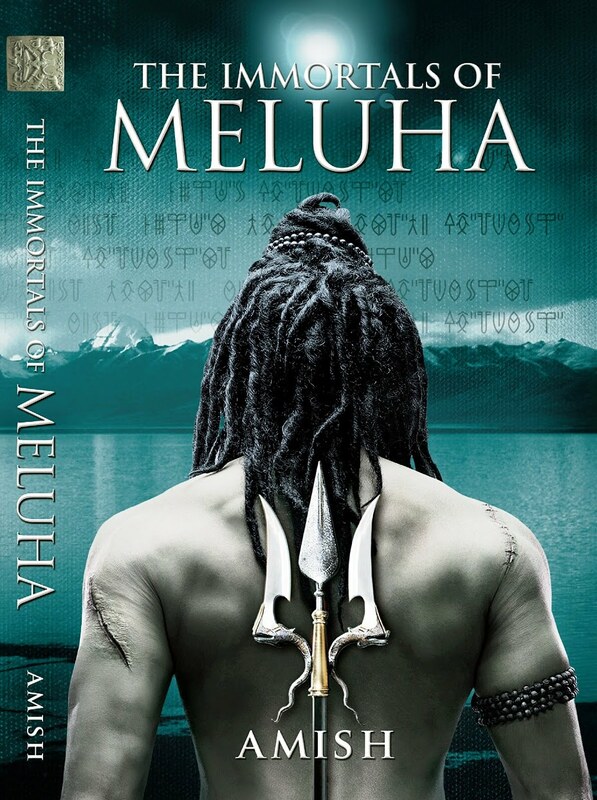 It is Amish’s first book of the Shiva Trilogy that I think will not go by unnoticed given the extraordinary sales of The Immortals of Melhua both in English and other Indian languages. The narrative lends itself to the employment of potentially incredible cinematic effects and epic scenes of action so I imagine the film will be ‘popular’! What is your next subject of inquiry? I have forthcoming chapters on ‘Crick Lit’, on decision-making in female-authored narratives and a stylistics chapter on Chauhan’s Battle For Bittora (2010) but I’m currently working on Indian graphic novels and the idea of ‘new ways of seeing in New India’. This involves thinking about how India has been portrayed and wished itself to be portrayed in the past and how this is changing post millennium. I’m particularly interested in the Indian graphic novel’s role in this shift both in terms of form as well as textual content. I’m also completing a manuscript for Routledge entitled: Genre Fiction of New India: Post-millennial receptions of “weird” narratives (forthcoming). This book looks at genre fiction of New India and explores the intersection of science and faith in post-millennial Indian fiction in English and how this body of writing (dis)connects with established ideas of ‘weird’ fiction. 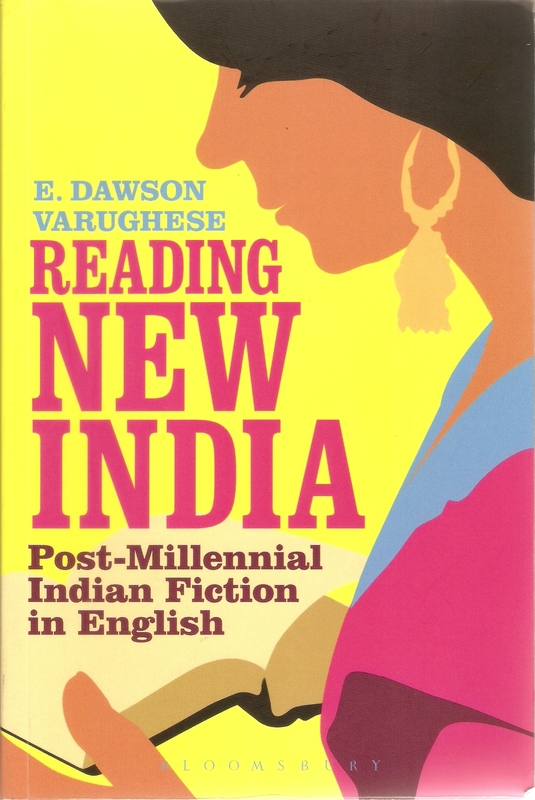 Posted in Authors, Book and tagged E. Dawson Varughese, Reading New India: Post-millennial Indian Fiction in English. Bookmark the permalink.